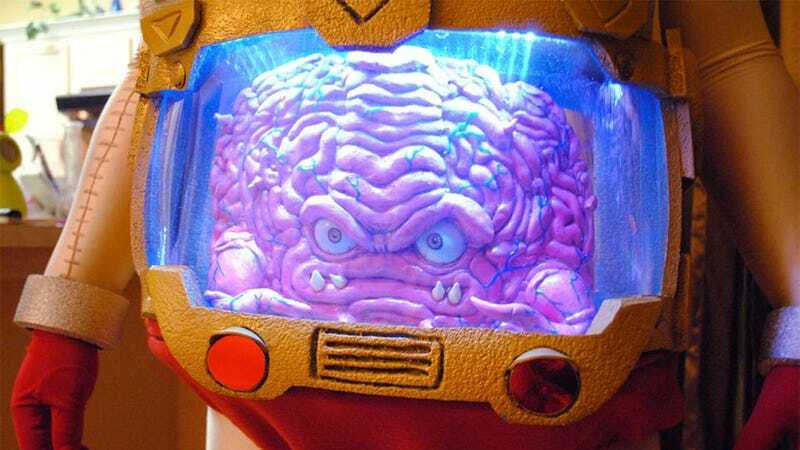 There can't be many harder characters to cosplay as than Krang, the wonderfully bizarre villain from the original TMNT animated series. Partly for his size, yeah, but also for the fact he's a talking brain who lives in a giant clear tank right where a human's guts are supposed to be. Which should make accurate cosplay all but impossible, but no. Here is TVsRobLowe's Krang costume in all its glory, complete with accurate "shell" torso and a "fishtank" that's cleverly designed to look a lot deeper than it actually is. TVsRobLowe, if there truly are cosplay gods, they are smiling down upon you.